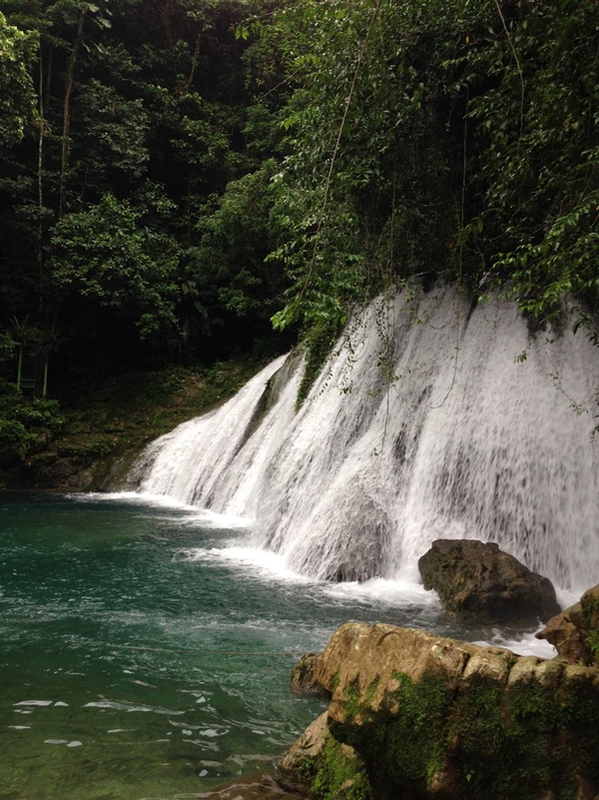 Reach Falls is one of Jamaica's most natural waterfalls, surrounded by a virgin unspolit rain forest. Located on the eastern end of Jamaica in Portland, approximately 45 minutes east of Port Antonio, Portland, this 12 acre property, was for years neglected and "managed" by a local farmer who used local kids to act as guides and life guards. It is now under the management of the Jamaica Urban Development Corporation, and has seen some development with a new entry and ranger station and paved parking. Beyond the development of a ranger station, the area remains natural, untouched and unspoilt and has been used as a set for several major movies. Its location keeps it off most Tourist itineraries, a factor that adds to the peaceful atmosphere. 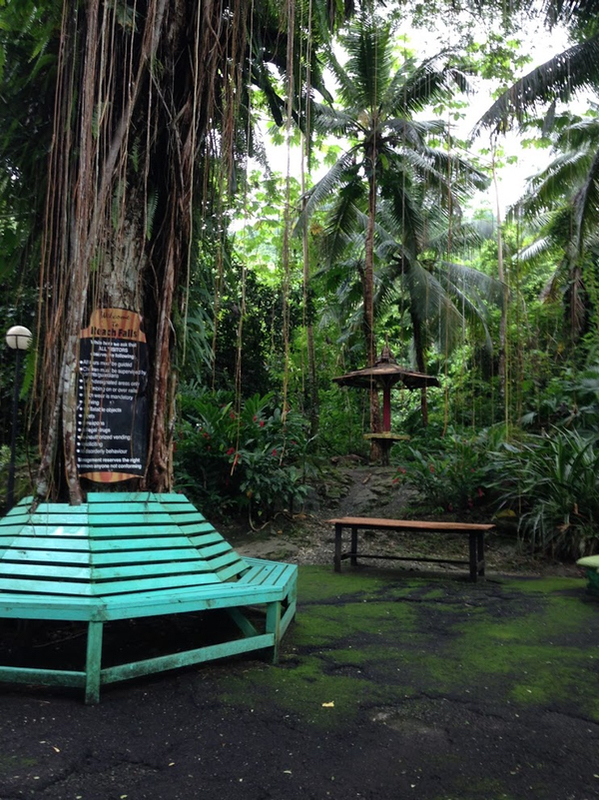 The area enjoys significant biodiversity and is an ecological sanctuary. There are 23 species of ferns, and it is home to a variety of birds including the black and yellow billed parrot. Reach Falls was first discovered by runaway slaves from plantations in the neighboring parish of St Thomas who sought refuge in the hills of the John Crow Mountains. The main fall pours into a pool deep enough for diving. A half-mile hike up the river and through the rain forest leads to the Mandingo Cave. This cave is quarter-mile long with a whirlpool in the middle that is ideal for wading. The cave has a whirlpool and should be explored with caution. Open Daily from 8:30 a.m. to 4:30 p.m. Also open on public holidays except Good Friday and Christmas Day.